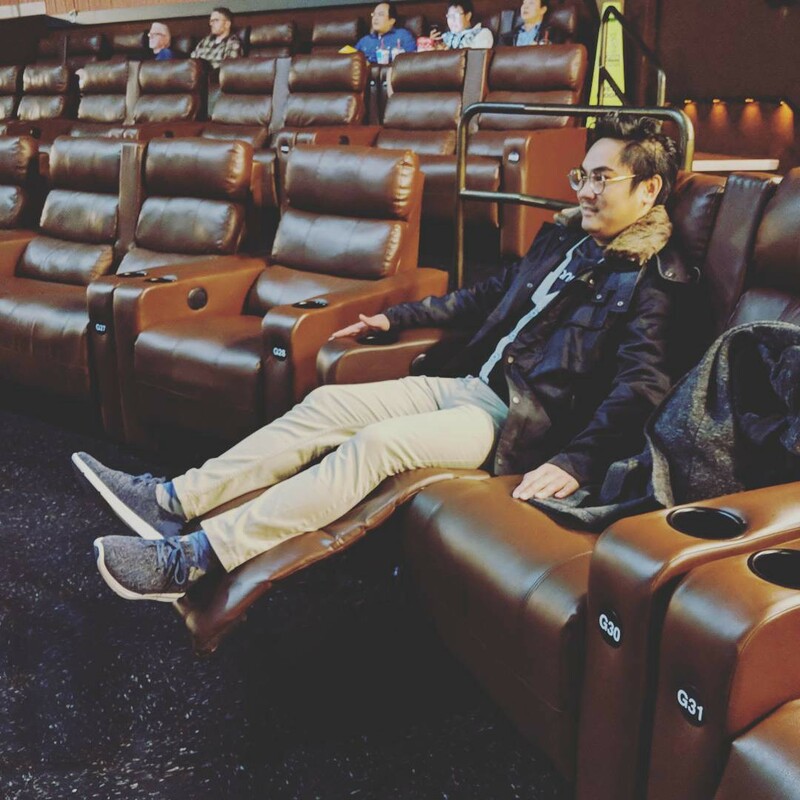 The bro trying out the luxury seating at the movie theater for the first time. The bro trying out the luxury seating at the movie theater for the first time. It’s nice enough that they’re couch seats, but the cherry on top was that the seats reclined! Now we just need blanket, slipper, & drink service for parity with our movie experience we had in Thailand. Also, yes, this is our first time watching the new Star Wars so no more spoiler alerts for us!